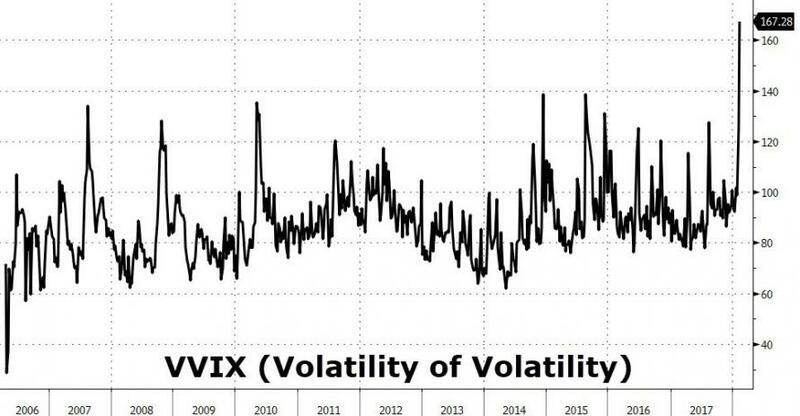 After a chaotic week of volatility-related volatility, some of the unbelievable fallout from the "end of the short-vol trade" is being exposed. 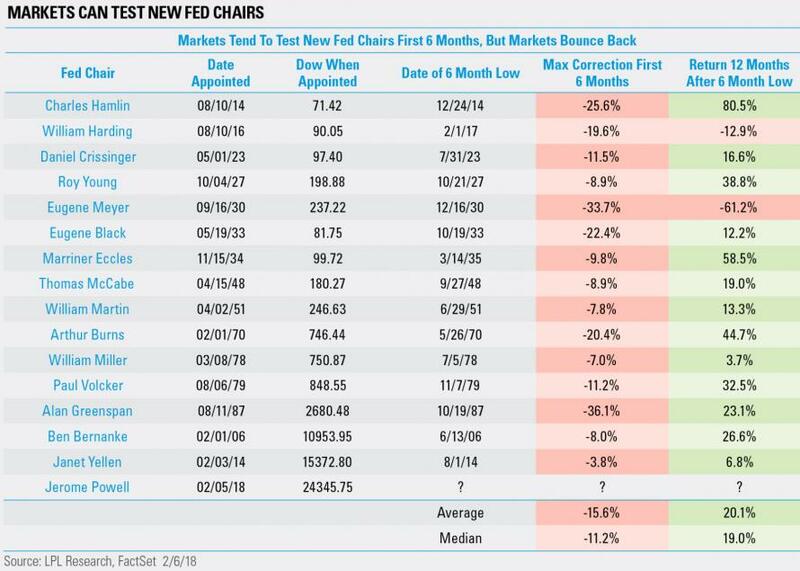 Intraday swings in The Dow far exceeded 12,000 points - "it was untradable"
Volatility of volatility exploded to its highest ever - "we've never seen anything like it"
And while XIV's collapse triggered the termination event, the biggest blowback was a stunning reversal in speculative VIX futures positioning which swung devastatingly from net short to record net long in one week... "it's unprecedented"
As an incredible 145,000 VIX futures contracts were force-bought... "WTF!" 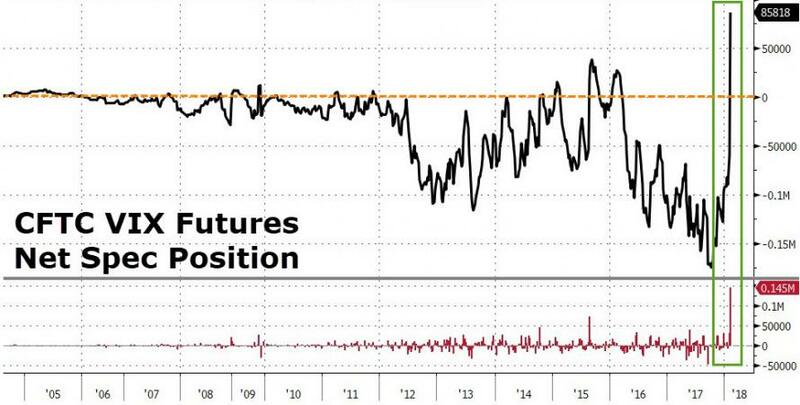 And that forced demand for index volatility sent implied correlation spiking by its most on record... "this is far from over!" As a reminder, implied correlation measures the relative demand for macro overlays (index hedges) vs micro risk (individual stock hedges/concerns). 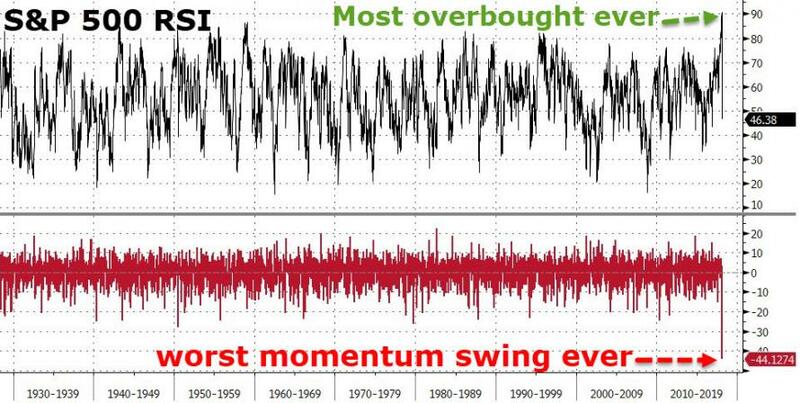 The higher it is, the more systemically worried investors are and the more traders believe a high correlation 'event' is due (typically the high correlation event is a big downturn in stocks). 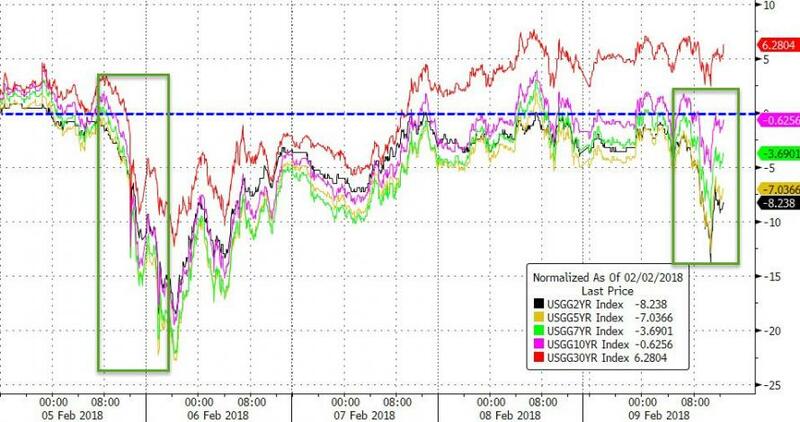 Meanwhile, as all of this chaos took place in equity markets, bonds went nowhere (despite all the headlines proclaiming their demise)...everything but the 30Y rallied on the week! 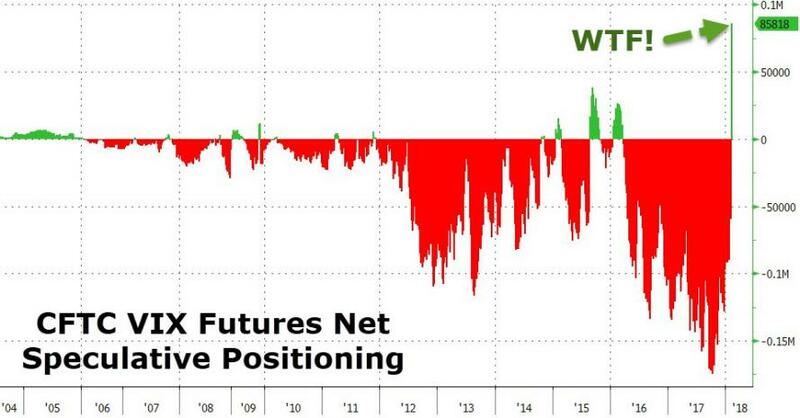 And as we noted previously, where the trader short bias is especially pronounced, is at both the short-end, i.e. 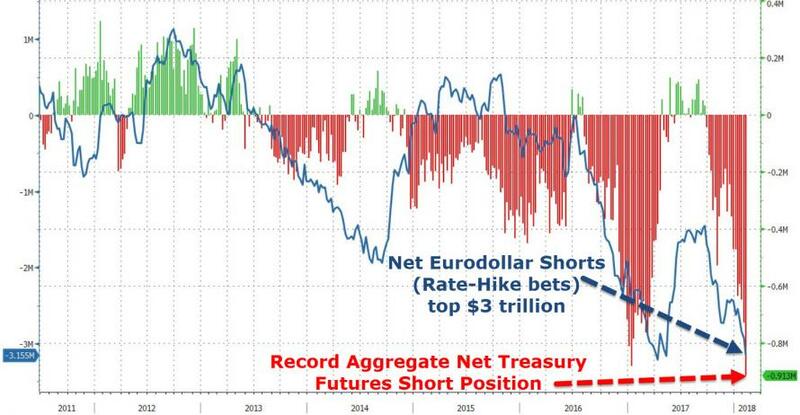 the 2Y treasury, where net specs just hit a new record net short, as well as the other end, or the Ultra-Long futures, where net specs also just hit an all time low (i.e. short) position. 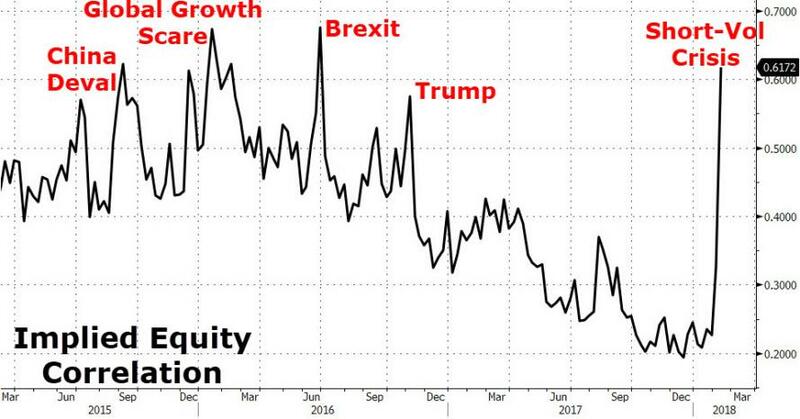 So after all of that, as one trader warned unprompted, "do you really think this equity 'hiccup' is over?"